Effective immediately, Mid Central Community Action (MCCA) will administer the Illinois Emergency Management Agency’s McLean County Radon Awareness grant. The mission of the awareness program is to reduce radon health risks by educating, encouraging testing, and supporting mitigation. MCCA will lead the program that was previously run by the Ecology Action (EAC). The Radon Awareness grant will be an added component to the Mid Central Community Action’s Green Initiatives programs that MCCA provides as part of its Green Organization designation via NeighborWorks® America. The program includes energy efficiency consultation with households in Bloomington-Normal in partnership with the Ecology Action Center. “Changes at the federal level in the way the Radon grant is administered made the timing of the transition to MCCA best,” shares Michael Brown, Executive Director of the Ecology Action Center. “MCCA’s experience as a federal grantee and its own history of positive environmental impact in the community brings excellent leadership for the future of the radon grant,’ adds Brown. “Increasing the community’s awareness of this significant health risk is in line with MCCA’s mission to educate, equip, and empower people to achieve healthy relationships, finances, homes, and neighborhoods,” explains Deborah White, Executive Director of Mid Central Community Action. “MCCA is excited to partner with the EAC on this important community effort,” adds White. Comments Off on January is Radon Action Month! 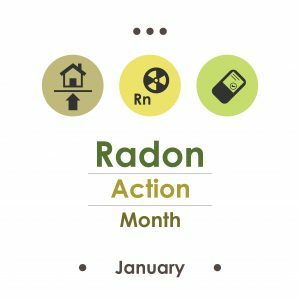 January is Radon Action Month! Did you know that Radon is the second leading cause of lung cancer? Radon is a colorless, odorless, radioactive gas that is produced from the decay of naturally occurring uranium in the soil. There is no way to determine the levels in your home based on location, age of home, or foundation type. The only way to know is to test! Radon Test Kits can be purchased online through radonmclean.org or in person at the Ecology Action Center or Mid Central Community Action. Test kits are $10 (plus $2 shipping) and require no additional laboratory fee.